Back Mario, the world's most famous plumber and standard of Nintendo released on Friday its new game, which travel far from breaking scenarios colorful blocks and getting bigger by the power of mushrooms, our hero to emulate short dress Rafa Nadal, Roger Federer, Novak Djokovic and Mario Tennis Open company. 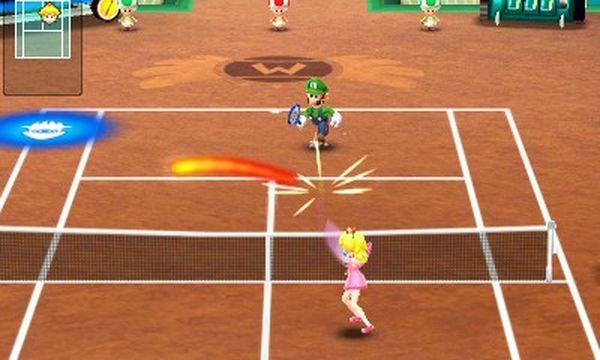 Not the first time Mario Bros take the racket since their debut in this sport occurred 12 years ago with the legendary Mario Tennis, which was released for Nintendo 64 and Game Boy Color. Mario Tennis Open will go on sale on May 25 - or whatever it is, this Friday, allowing players to experience crazy tennis matches with the feeling in three dimensions without glasses provided by the Nintendo 3DS . Controversy over red or blue tracks apart in Mario Tennis Open will be colors and surfaces to suit all tastes, as parties may be played on tracks made ​​of wood or ice. The creation of our own character enable us to confront Mario himself, his brother Luigi and other characters from the Mario universe. From the individual race so we can customize the most of our Mii, can liken ourselves and give them special objects such as rackets, wristbands and shoes, among a total of 180 different. Our Mii can also be dressed in costumes inspired by the most charismatic of Nintendo. Up to a total of 16 characters are available in the game (12 initials and other unlockables) Each of them have different abilities on the track, thus, for example Mario is the most balanced character, while Donkey Kong will demonstrate of a great power through greater slowness of movement. The game will challenge any player that gets in the way of our Nintendo 3DS and enable another player who does not have the game, you can download to play with us, may well prove temporary. This is possible thanks to StreetPass and 3DS discharge mode, two main social functions. 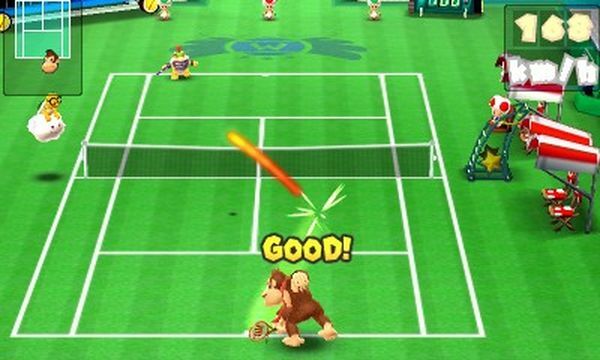 Mario Tennis Open is full of various mini-games in which they can train hits like lobs, drop or cut. Shooting Galactic ring or rally are some of the minigames that the player will encounter. Mario Tennis Open offers two modes of control, a classical and a more innovative, offering different gameplay options thanks to the touchscreen of the 3DS. Mario Tennis Open is already on sale in the U.S. and Japan goes on sale on Thursday, while in Spain we have to wait until Friday July 25. The game can be booked as early as the usual outlets and will come at a price of 46 euros. We leave you with one of the videos circulating on the net where you can take a look at the gameplay of Mario Tennis Open, although of course unable to appreciate the 3D effect, which can only be achieved while at the console.